There is some At The Movies as well, we saw Fantastic Four as well as a Teenage Girl Movie known as Paper Towns and we are gonna learn all about both. Oh ya, we saw Mission Impossible as well so there is gonna be some talk about ROGUE NATION!!!! It's a great show like always my dudes. Totally fun. Things just roll along at a super fast pace and before you know it, boom it's over. Great stuff! 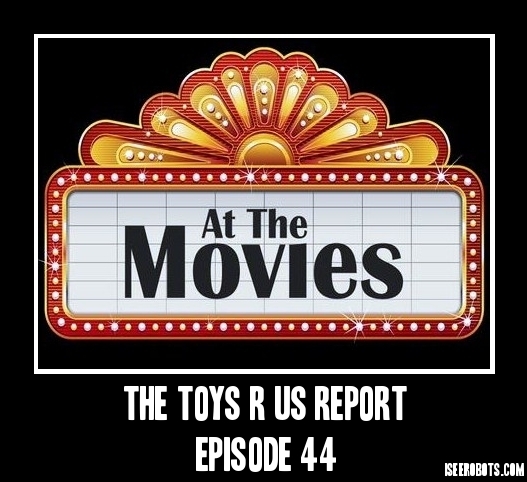 Make sure to tell a friend and make sure to hop on over to SupportTheReport.com and take a peek at some of our incintives for becoming a show sponser. You can help us out a TON! for as little as 1 dollar a month. That's not too bad huh? Hey kids, had a couple of extra minutes left in the old Podcast Hosting gimmick so I threw together a little deal here. 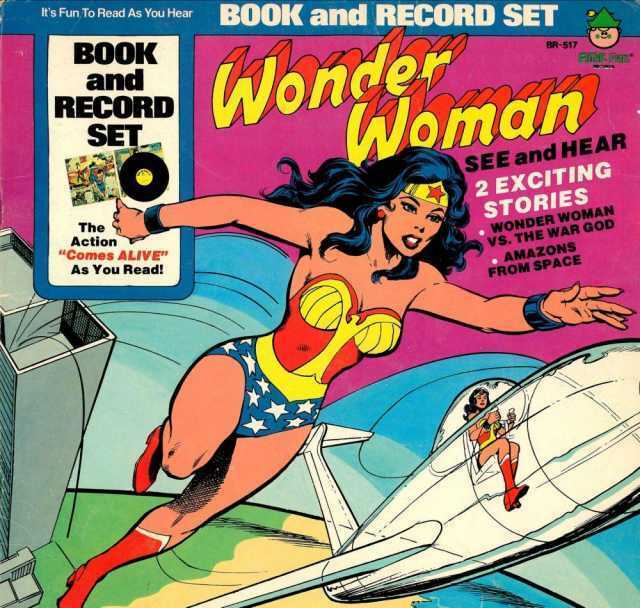 It's another one of those awesome Power Record Story type thing. including a special intro by your's truly! It's super fun. Make sure to tell a friend! Also make sure to stop by SupportTheReport.com and check out what we can do for you for becoming a show patron! Hey kids. Thanks for stopping by. We have a super fun show ahead of us this week. 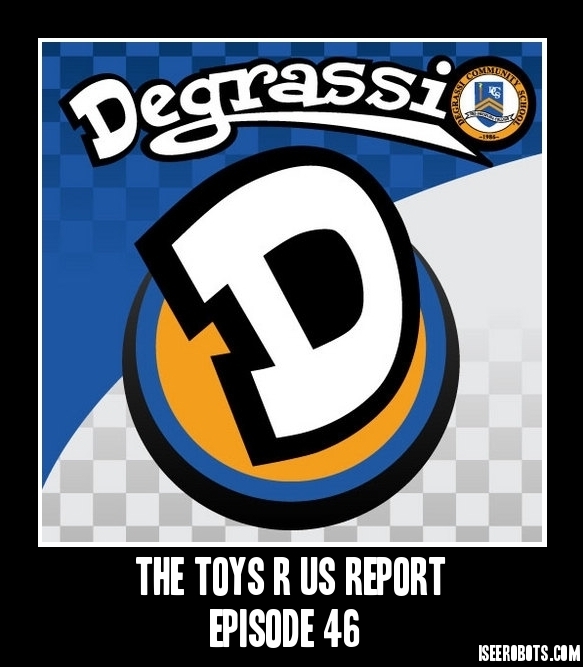 it's a special episode focused on one of my favorite shows of all the times, Degrassi. Yep, the Canadian Teen Drama. I am a huge fan and hopefully you will be too after listening to this somewhat enlightening episode. I gotta warn you though, we touch on all sorts of topics just like Degrassi does so be warned if you got some sensitive ears or whatever.. Don't worry, there isn't any swearing just some real talk about real stuff. 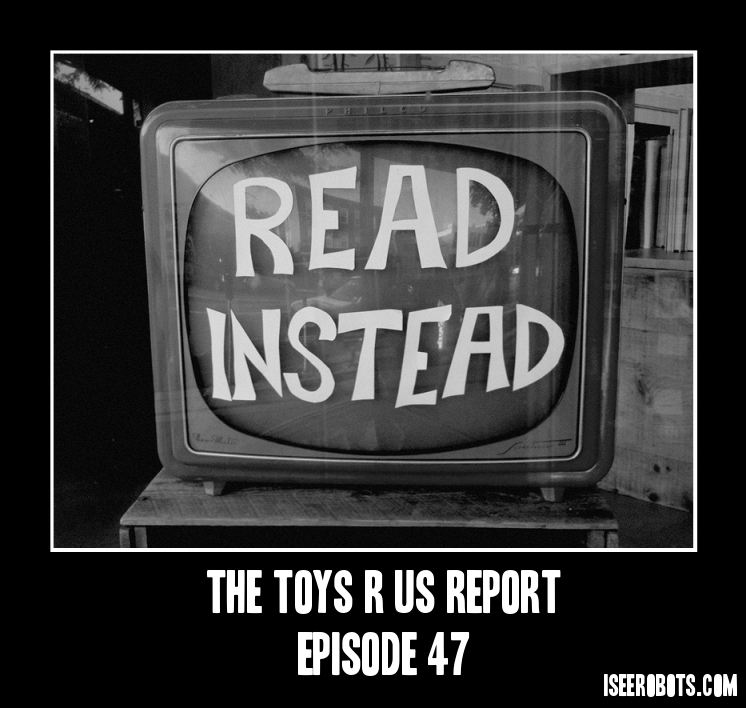 Unlike the usual junk we focus on here at The Toys R Us Report! Enjoy and make sure to tell a friend! Hey kids! Thanks for tuning in we have a heck of a fun show ahead of us. It's starts off with an all new tune from Ensign Melissa and then I tell a tale of mass confusion and dogs. It's a good one that's for sure. After that it's on to the main event and some exciting Dig Talk! It's a great show like always. Make sure to tell a friend! Hey kids! Thanks for stopping by. We have a really fun episode ahead of us this week. It was so fun. The little one was away on a trip so me and The Old Lady went to see every movie that we had missed over the last couple of months so in a world without Siskel or Ebert, Me! your boy IseeRobots takes over the reigns and control of At The Movies! with something like 5 movie reviews. There is also an update on our imaginary wrestler, Waterbed Kev. I got his last month's results back and well, we talk all about it. 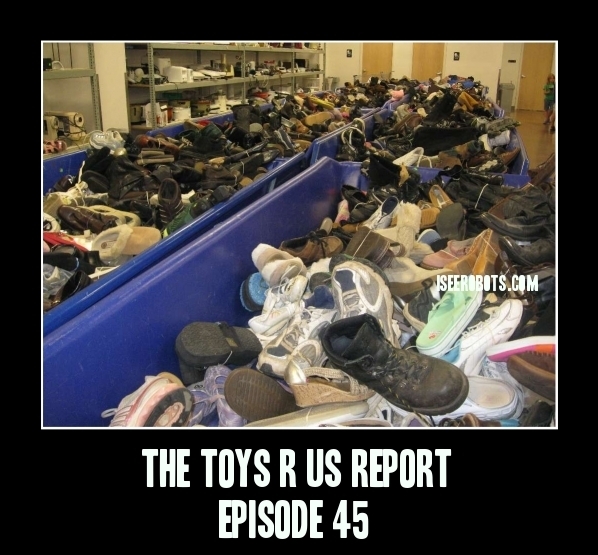 Make sure to check out SupportTheReport.com and see what we can do for you for helping us out! You won't be sorry for long.